Vintage finds are hugely popular today, especially for decorating a home or place of business. 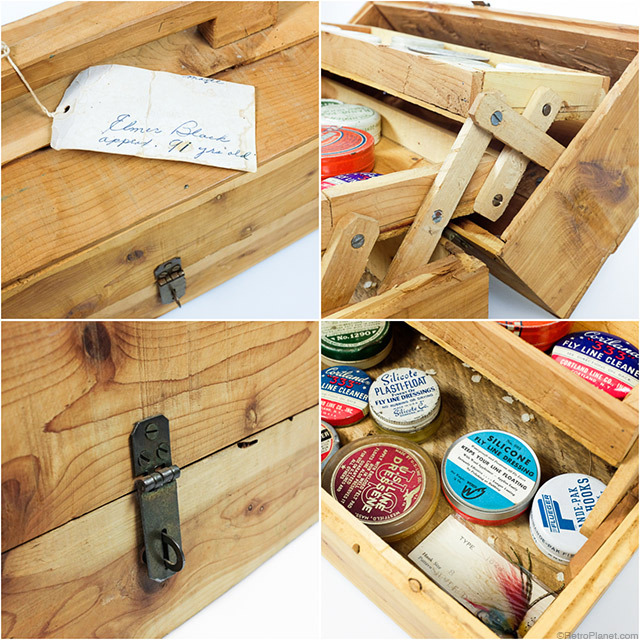 Many people also value vintage items that can be put to practical use, such as this handmade tackle box. The great part about items like this is that each one tells a story. 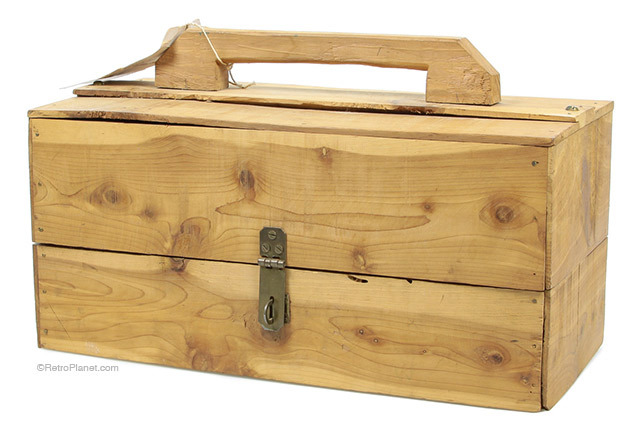 This wooden tackle box is no exception. Recently it was found at the Arundel Flea Market in Maine. 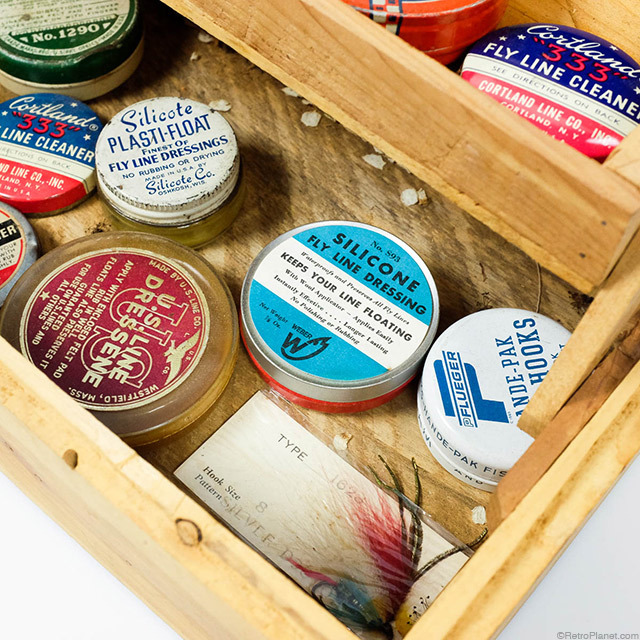 It was handcrafted by a 91-year-old man named Elmer Black, who must have been an avid fly fisherman, based on the contents of the tackle box. assorted Pflueger fly fishing hooks (South Carolina manufacturer of fishing reels and tackle since 1881). 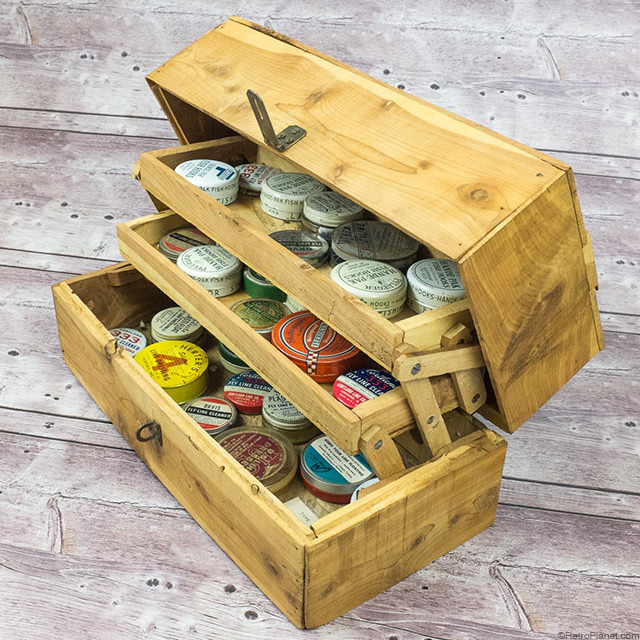 The attention to detail in the construction of this tackle box is truly amazing. It’s like a beautiful piece of folk art. When the lid of the box is opened there are 2 shelves that stagger to display their contents. The interior joints that allow the trays to slide back are all hand-cut and function exactly as I’ve seen on new tackle boxes made of plastic and metal. Except that this box is completely made of wood. There’s even an edge around the base and lid so that they fit together snugly. Evident is an incredible amount of attention to detail, to be sure. Proof that this was constructed by someone with an appreciation for taking the time to craft something that is made well, is beautiful and will last. Click here to see this and other Vintage Originals at Retro Planet.